Hello everyone! Well, it is fair time at the Oxford Fair. Hope you will join us either again this year or be with us for the first time! 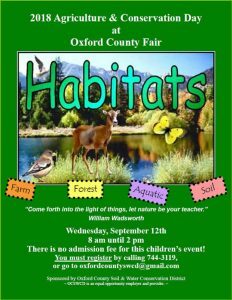 The dates of the Oxford fair this year are September 13th thru September 16th, 2017. Set up times are Monday September 11th and/or Tuesday September 12th from 9am to 7pm. Booths need to be manned at all times. Hours of operation for inside vendors will be 9am to 9pm. Hours of operation for outside vendors will be noon to 10pm (you may open earlier if you choose). Vendor acceptance is on a first come first serve basis with an enclosed deposit of $100.00. We will contact you via mail with the acceptance. $50.00 off vendor space if deposit and application is in by July 15th.